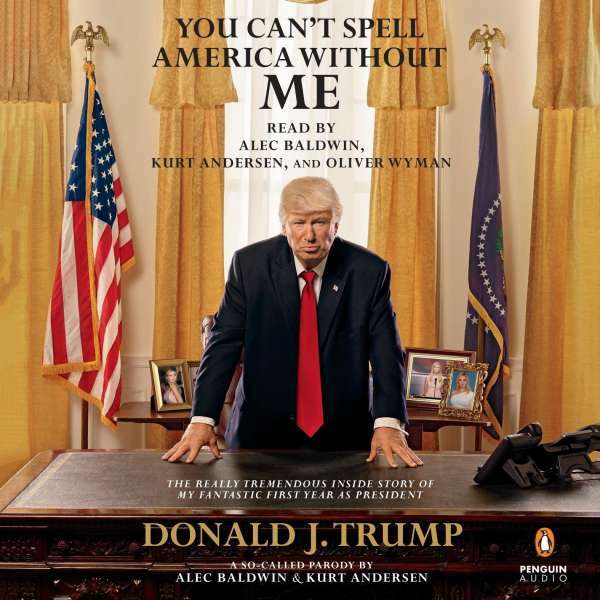 Der Artikel Alec Baldwin: You Can't Spell America Without Me: The Really Tremendous Inside Story of My Fantastic First Year as President Donald J. Trump (a So-Called Parody) wurde in den Warenkorb gelegt. Ihr Warenkorb enthält nun 1 Artikel im Wert von EUR 45,08. "I have the best words, beautiful words, as everybody has been talking and talking about for a long time. Also? The best sentences and, what do you call them, paragraphs. My previous books were great and sold extremely, unbelievably well--even the ones by dishonest, disgusting so-called journalists. But those writers didn't understand Trump, because quite frankly they were major losers. People say if you want it done right you have to do it yourself, even when 'it' is a 'memoir.' So every word of this book was written by me, using a special advanced word processing system during the many, many nights I've been forced to stay alone in the White House--only me, just me, trust me, nobody helped. And it's all 100% true, so true--people are already saying it may be the truest book ever published. Enjoy." Until Donald Trump publishes the ultimate account of his entire four or eight or one-and-a-half years in the White House, the definitive chronicle will be You Can't Spell America Without Me: The Really Tremendous Inside Story of My Fantastic First Year As President. Trump was elected because he was the most frank presidential candidate in history, a man eager to tell the unvarnished truth about others' flaws and tout his own amazing excellence. Now he levels his refreshingly compulsive, un-PC candor at his landslide election victory as well as his role as commander-in-chief and leader of the free world. There are intimate, powerful, mind-boggling revelations on every page. You are there with him during his private encounters with world leaders, a few of whom he does not insult. You are there at the genius Oval Office strategy sessions with his advisers. You are there in his White House bedroom as he crafts the pre-dawn Twitter pronouncements that rock the world. And, of course, you are there on the golf course as Trump attempts to manage the burdens of his office. President Trump explains each of the historic decisions that have already made America great again, and how he always triumphs over the fake news media. You'll learn what he really thinks of his cabinet members and top aides not related to him, of the First Lady and the First Daughter and the additional three or four Trump children. Included at no extra charge is a lavish and exclusive portfolio of spectacular, historic and intimate color photographs of President Trump in private - inside the White House, inside Mar-a-Lago, at Trump Tower, and more. 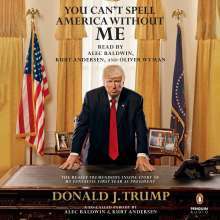 You Can't Spell America Without Me is presented by America's foremost Trump scholar Kurt Andersen as well as America's foremost mediocre Trump impersonator, Alec Baldwin. You Can't Spell America Without Me is the perfect holiday gift! Kurt Andersen war Mitbegründer des Magazins "Spy", Chefredakteur des "New York Magazine" und schrieb acht Jahre lang vielfach preisgekrönte Reportagen für "Time". Heute ist er Kolumnist des "New Yorker". "Tollhaus der Möglichkeiten" ist sein erster Roman. Der Autor lebt mit Frau und Kindern in New York.